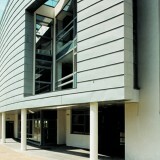 The project was constructed to provide accommodation for the new schools of Business and Science on the campus. 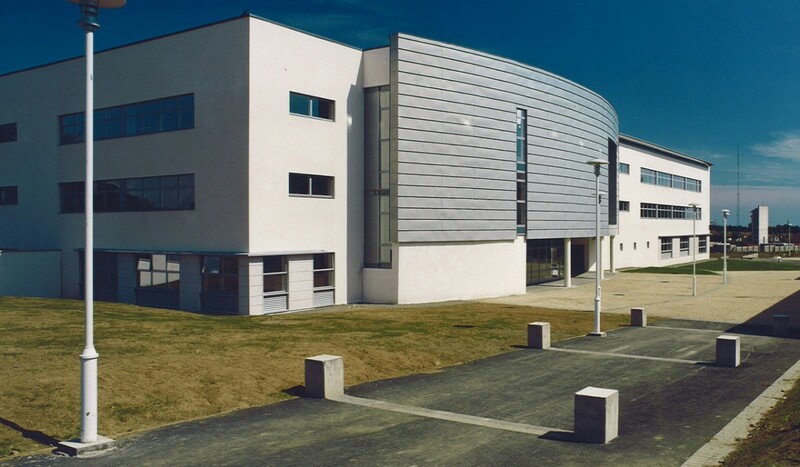 The building encompasses 5,500m² of new teaching space over 3 floors and includes labs, lecture rooms, staff offices, a lecture theatre, canteen, library and atrium space. 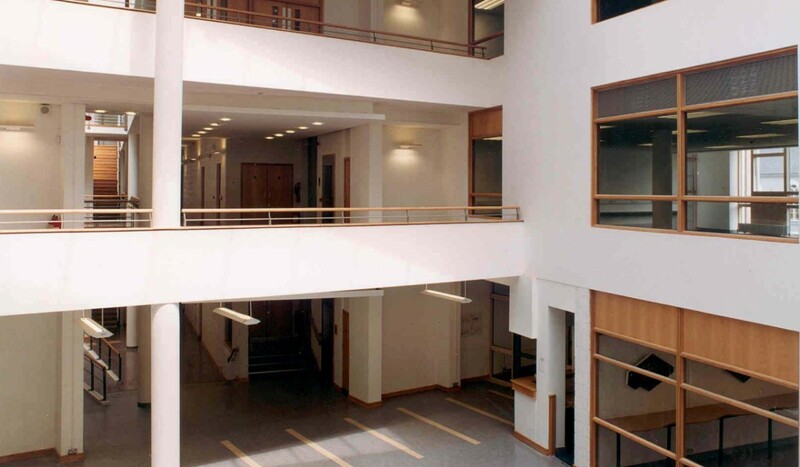 The heart of the scheme is a 3 storey atrium entrance space. 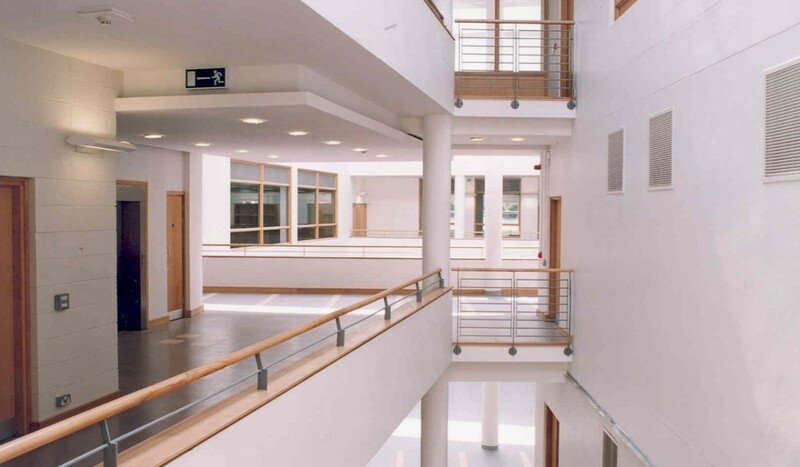 The main accommodation is arranged around a roof lit atrium corridor with heavily serviced elements to the south and naturally ventilated classrooms to the north. 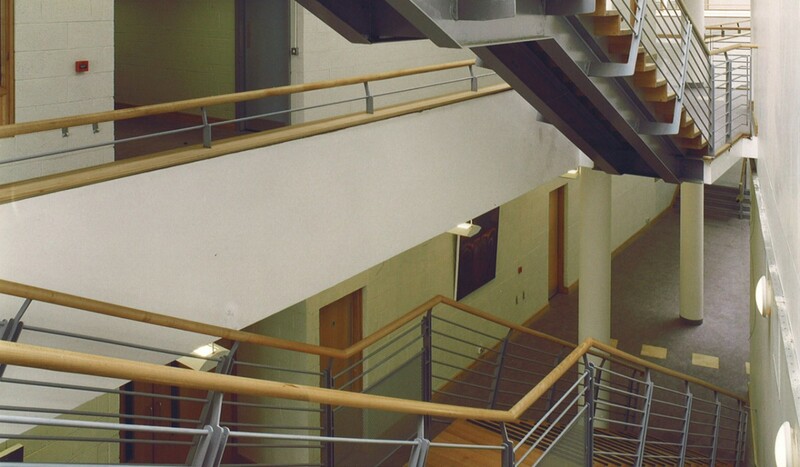 Ventilation in these rooms is assisted by “stack effect” through the adjoining atrium. 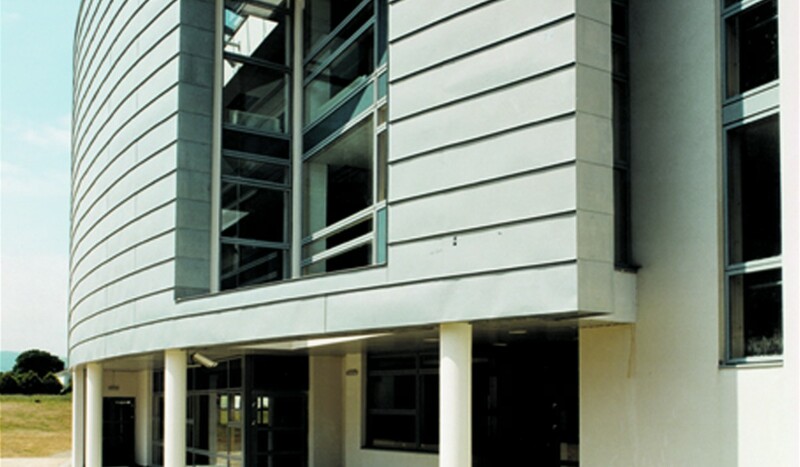 The building is finished in a self coloured render with a two storey curved zinc wall.